The Run For Currahee team and supporters at the Eagle’s Nest, Berchtesgaden, Germany. August 2015. PC: Eddy Bertels. SUCCESS! 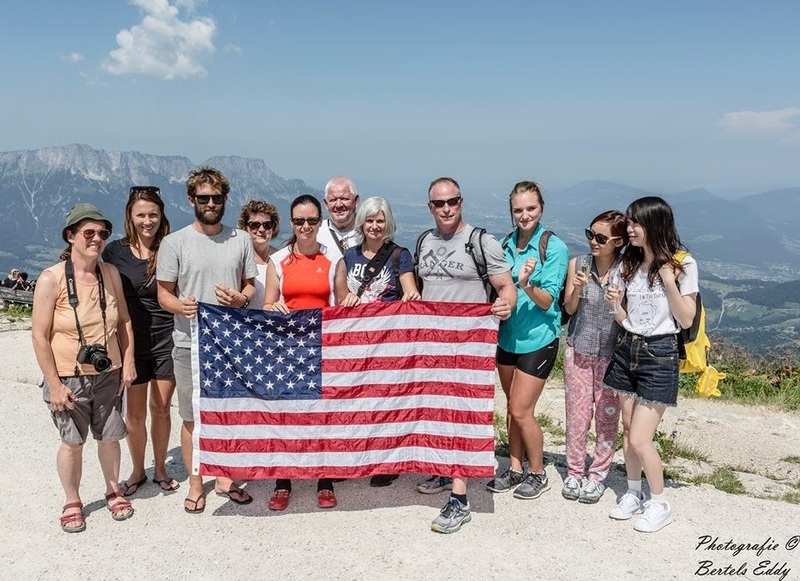 ON AUGUST 8, 2015 KATHRYN FINISHED HER 850 MILE JOURNEY AT THE EAGLE’S NEST! CURRAHEE! From June 6 until August 8, 2015, Kathryn Lindquist of Cary, NC, ran 850 miles from the beaches of Normandy, France to the Eagle’s Nest in Berchtesgaden, Germany. The purpose of her run, called Run For Currahee, was to raise awareness and support for Camp Toccoa at Currahee, which aims to preserve the training grounds of World War II units, including the famed Band of Brothers of the 506th Parachute Infantry Regiment, that originated in Toccoa, GA. Lindquist became the first person to successfully complete the route on foot. Lindquist on her way to winning the Currahee Challenge Mountain Race in a downpour. Camp Toccoa at Currahee was founded to preserve the legacy of the four Airborne regiments that originated in Toccoa, including the famous Band of Brothers, by celebrating their contributions, honoring veterans, promoting well-being through athletic competition, protecting the historic site and its natural environment, and constructing facilities for hands-on public education. Run For Currahee started on June 6, at 1430 in Sainte-Mère-Église, France, and took Lindquist across the width of France, Belgium, Luxembourg and Germany, before culminating with a climb through the Bavarian Alps to the Eagle’s Nest in Berchtesgaden, where many American soldiers saw the War come to an end. “Currahee” was the battle cry of Easy Company. 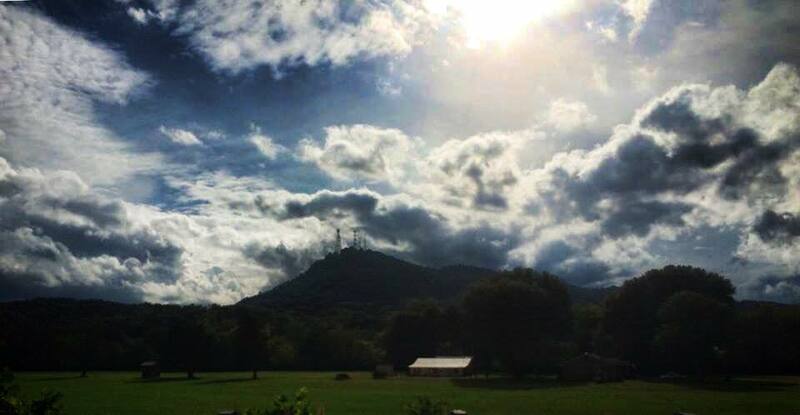 It is the Cherokee name for the mountain that, through running daily, helped turn men into soldiers. It means to “stand alone, together.” Let’s stand together, united in this dream and cause. I have donated $20.00 to your cause. I wish you all the best in your endeavor. Thank you very much Warren! We met each other this morning. You, on your way to st leon-Rot, we on our bikes heading for Rome. We were impressed by your goal, running to the Eagles-nest. We hope you will succeed and wish you al the best! All American Marathon: Airborne! All the way!